We’re what professionalism sounds like. The perfect soundtrack to the best day of your life, spun with your wedding or event in mind. 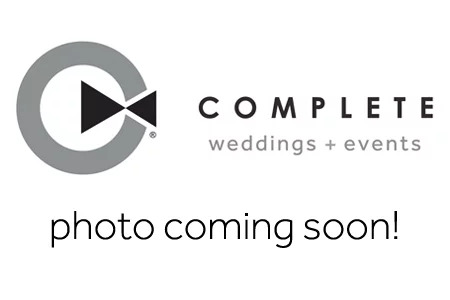 The DJs of Complete Weddings + Events Indianapolis will keep you and your guests dancing till the reception ends. Alex is all about FUN! He is high energy and full of positive vibes. Alex will keep the ball rolling at your event moving according to your plans and make sure everyone has a great time. Speaking of rolling, Alex remembers an event where the ring bearer was a fully functional R2D2 unit. No Star Wars themed event would be complete (no pun intended) without ushers in full Storm Trooper uniforms, with fully functional laser guns (OK the guns didn’t work, but the Storm Troopers were there)! Working as a DJ, I accept a new challenge with every event. The goal is to fill the dance floor with as many guests as possible. I don’t just want your guests having a good time, I want them talking about how fun your party was. Music and emotions go hand in hand. I love to see how the music I play moves people. I love watching the joy experienced when I play a song that takes you back to where you were when you first heard it. Through music, I am able to bring people of all walks of life together, even if for just a moment to experience life together. I love to juggle. I have been working on it for a while. I can now successfully juggle one ball at a time, JK ;). Our DJ, Alex, was very professional and so much fun to work with! The music was spot on for the ceremony and reception and we never once questioned any of his song choices. He kept our guests on the dance floor up until the time that he had to leave. I would definitely recommend Alex, and Complete, to anyone in the future. Everything ran so smoothly from the very beginning of signing on with them. Thank you!! Alex, our DJ was awesome. He needed almost no direction, which made our day a lot easier. He also had a great feel for the guests we had, keeping them on the dance floor and making everything fun. Our DJ, Alex, was on time and got the party started. He was able to get all the music that we requested and everyone had a great time! Ben is a crowd pleaser, for sure! His couples love him. When it fits the party, he loves adding elements of newer music, matching the BPM’s and doing cool mixes. Having years of experience as a musician, he realizes no two groups are never quite the same. It’s all about showing YOUR crowd an amazing party and giving it all that he’s got. I could tell you, but, then I’d have to kill you (just kidding). The “funniest moment makers” usually request that they aren’t brought up again. I get paid to attend receptions and bring the party with me. . . what’s not to love? I’ve played trap remixes to both Harry Potter and Star Wars (different couples) and the unsuspecting crowds at each event went cray-cray. Ben was absolutely amazing! We were in shock that he was spot in for everything and Went above and beyond our expectations. This company is definitely worth going through and if you can you need to get Ben! Ben did a great job!! We used them for ceremony music, cocktail hour music, and reception music and everything went super smoothly! Cody is a laid back DJ that loves to give it his all. He strives to make each event an awesome party. A self described “Classy Class Clown,” Cody has many awards from elementary school that back that up. While he loves to have a great time, he knows where the boundaries are. He loves to make personal connections with your guests, interacting with them and working in their dance requests (when appropriate). While DJ’ing a school fundraiser bike-a-thon, Cody had to handle Mother Nature earning her name. The day started out overcast, when to trying to beat the heat, to a full on downpour. Nature seemed to work with the soundtrack he provided perfectly and helped create movie-quality memories for all involved. I enjoy dropping an unexpected song sometime throughout the night and watching the joyous reaction of the crowd. I gain long-term satisfaction from, and love the feedback and gratitude I receive. I was looking for a creative outlet and opportunity to put my outgoing and talkative personality to work. Hoping to do just that, I joined Complete and as an added bonus, I get to share some fantastic moments with great people. I was part of a Blue Man Group show in Las Vegas for one night! I was picked from the audience before the show began and I was on stage performing with those guys. It was INSANE! Cody was extremely interactive and it made me less anxious and I didn’t feel I needed to micromanage anything. He played music that catered to all people and even when it was just my bride and I, he still played music that we wanted to hear. He gave us 3 songs when everyone else was doing their own thing to just have an absolute blast. For my wedding day, we wanted the reception to be the best party of the summer. The three factors for a good party are food, bar and the music. Our DJ was perfect!! He knew exactly what we were aiming for and exceeded our expectations! He was friendly, flexible, fun and professional. I would highly recommend Complete’s DJ services to anyone throwing an event. Everything went smooth and Cody helped out with a lot of stuff . He was very helpful and so nice. Graham is an upbeat and funny guy! He loves to see people laughing and having a good time. A self proclaimed “Real Geek,” Graham loves the opportunity to bond with people over nerd and pop culture. He remembers one event where he played “Time of my Life,” and the group formed a circle around the newly married couple, attempting a running jump, catch and lift as done in the famed movie “Dirty Dancing.” It took the group a few tries, but when they finally nailed it, everyone cheered. I love hitting the perfect transition, and being able to interact with guests throughout the night. I always enjoy entertaining the kids at events. I love all types of music and seeing people happy. I can sing two notes at once. Our DJ was great. He was very interactive with the guest and with us. He listened to what we liked in music. Overall just a genuine person. Mitch is an outgoing and very energetic character. He loves mixing music and feeling the response of energy from the crowd. Mitch is as unique as they come. He has a presence you will remember. He recalls one event where a dance stroll formed and the people began twerking a dance off battle to “Ginuwine” by Pony. There are many fun memories from that event, but, the dance battles rocked! The Music! I love figuring out how to best mix music together and beat match. Being the conductor of the party is a great feeling. I’ve always wanted to do something with music. I’ve played music since I was about 10, enjoying singing, piano, and trumpet. I hadn’t done anything with music for a while when the opportunity presented itself with Complete. I jumped right on it! I guess you can say I didn’t even miss a beat. When I play dolls with my daughter, I use different voices for different characters! Our DJ, Mitch, was so wonderful and did such a great job. Had the personality that we were looking for and was laid back and just had fun along with the guests! Our photographer, Andrew, also had an awesome personality and got along with the wedding party and guests! The photo booth was a hit and everyone had a blast! Both our DJ and Videographer went above and beyond for us on our wedding day. They arrived early and stayed late, worked closely with other vendors to get the best shots/best timing for announcements and songs. We were so happy with Complete, we wished we would have booked all our services (photographer, photo booth) with them! We had an awesome DJ for our wedding. Had an absolute blast!! Tyler is an energizer! Constantly listening to music, Tyler is inspired to create new ways to use music to energize the crowd. Energetic, but, easy going enough that he loves to work with your guests requests to find the best song for the moment. It’s all about making your event fun and memorable. If that means pulling out a timeless classic, or introducing the next big hit, Tyler uses his experience to keep your party going. He told us a story from one event where the Maid of Honor entered the reception during the Grand Entrance in a full-body dinosaur costume and ran through the crowd. Needless to say that was a (pre) Historic night. The energy rush when I play just the right song and the dance floor goes crazy with cheers and excitement. The passion I have for music and creating memories. In 2017, I listened to 38,156 minutes of music on Spotify (that’s a combined total of 26 days). Full time, I work with 401(k) plans… I guess you could say I invested my time preparing to be a DJ. Tyler was amazing! Such a fun time at my wedding. He was the perfect DJ for our black tie event. Everything went the way it was planned and everyone enjoyed the dance floor!!! From big days to school dances, bat mitzvahs to corporate gatherings, our Complete Weddings + Events Indianapolis DJs work with you to create the perfect event, with professional party motivation and expertly coordinated announcements.